Nestled on the Empordà plain very close to Figueres, this and many other villages in the Alt Empordá region cherish their quintessential appeal and are famous for their historical and natural heritage. This village grew around the monastery of Santa María de Vilabertran, a major Augustinian abbey which became a collegiate church in 1592 until it was seized during the Spanish Confiscation in 1835. 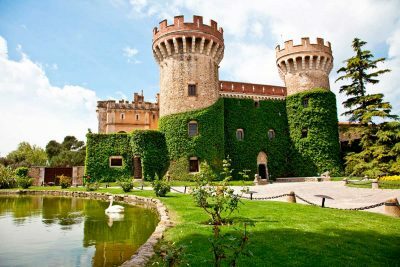 Located on the Empordà plain and just a stone’s throw from Figueres, this walled town boasts a wonderful castle and a magnificently preserved historic quarter. Peralada Castle, former residence of the Viscounts of Rocabertí and Counts of Peralada, was restored at the end of the 19th century in the style of French châteaux. An international music festival known as the Peralada Festival is held here every summer. This is the capital of the Alt Empordá region, making it a tourist, retail and culinary hub par excellence. 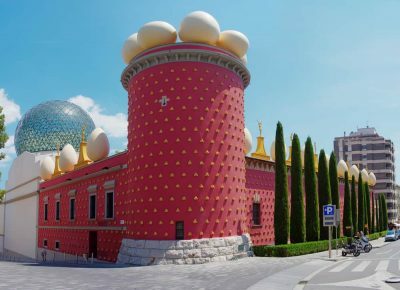 It’s home to the Museo Dali, a museum dedicated entirely to the painter Salvador Dali and the final resting place of this multi-talented artist. This is the easternmost town on the Iberian Peninsula. Its municipal area occupies most of the eastern coastline of the Cap de Creus massif. 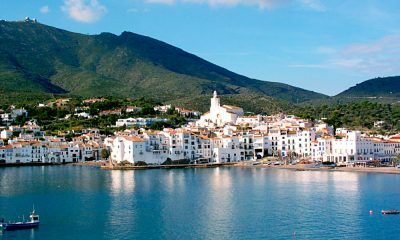 Practically cut off from the rest of Empordà by the Puig de Paní and Puig de Bufadors mountains until the late nineteenth century, the fishing village of Cadaqués has always drawn inspiration from the Mediterranean. It’s famous worldwide for its sheer beauty and spectacular setting. A must-see is the Museo Dali, one of the most visited places in Cadaqués and the perfect place for venturing into the painter’s weird but wonderful universe. Nestled in the Bay of Portlligat, north of the town, the museum is surrounded by the stunning landscapes that captivated the artist. This is located in the town of Port de la Selva in the province of Girona (Spain). Built on the slopes of Mount Verdera below the ruins of the Castle of Sant Salvador de Verdera that once safeguarded the monastery, it commands an exceptional view over the Bay of Llançà, Port de la Selva and the northern part of Cap de Creus. 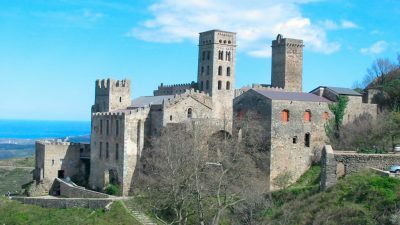 Near the Monastery of Santa Creu de Rodes are the ruins of a medieval settlement, where a pre-Romanesque church dedicated to Saint Helen is the sole remaining landmark. 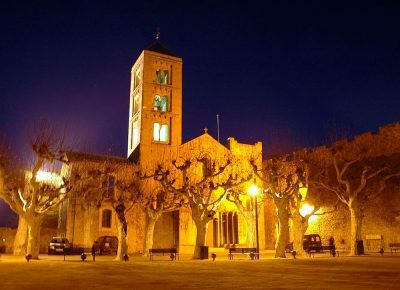 Fully restored, it’s one of the most important Romanesque monuments in Catalonia. This town lies in the Alt Empordà region in the province of Girona, Spain. It’s nestled on the north coast of Cap de Creus, on the Costa Brava. The town still has a flourishing port that lives up to its fishing tradition, although other industries such as tourism are slowly taking over. It boasts an ensemble of typically seaside architecture, with the highlight being the breathtaking Church of Santa Maria de las Neus that looks out over the bay. Nearby is the TauladelsLladres dolmen, while the Monastery of Sant Pere de Rodes is just slightly further away. Intrinsically linked to the town is the Catalan writer Josep Maria de Sagarra, who drew much of his inspiration from the nautical environment: La Balada de Luard (The Ballad of Luard), El Mariner (The Sailor) or Cançons de Rem i de Vela (Rowing and Sailing Shanties). Several music festivals take place over the summer months, the most famous ones being the Festival de Peralada, the Festival de Cadaqués, the Festival de Sant Pere de Rodes and the Schubertiada de Vilabertran (dedicated to Schubert). There’s also a host of so-called cavas, which are agricultural cooperatives producing high-quality olive oil and a wide range of products with protected geographical status. 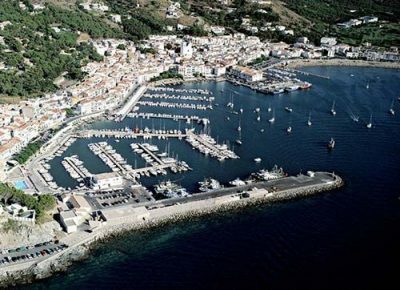 The Port de la Vall campsite is an ideal place to discover all the attractions that make up the essence of the Alt Empordá, Cap de Creus and the northern stretch of the Costa Brava.